Harley Willard is different from your usual 20-year-old. He may have grown up in Premier League academies but the path he has taken since is entirely unique from that of any of his peers. If his move to Sweden at the start of the year was unusual, it was nothing compared to the move he made later in the year. That’s right, there really is an English footballer playing in the Cambodian league. Willard signed for PKR Svay Rieng in June, joining the side part way through their league campaign. The side finished second in the C-League last season, the country’s top flight. Having played for Arsenal, Southampton and Maidstone United the move was completely different from anything the 20-year-old had experienced before, even a spell in Sweden with Hässleholms IF could not fully prepare him for his arrival in Cambodia but now over a month on, he is finding his feet in Asia and totally embracing his new surroundings. The midfielder however, had always planned on taking his footballing career abroad, where he says he feels most comfortable. “I was speaking with a few agents about going abroad in the January transfer window so it was an easy decision for me when the opportunity came up to go to Sweden,” he says. Willard’s opportunity in Sweden came after spells with both the Arsenal and Southampton academies. “I joined Arsenal when I was nine-years-old after training with four teams before making a decision to sign for them. “Being at Arsenal was a great experience and playing with some amazing players many of who are now playing in Europe’s top leagues. In the 2016/17 season, the midfielder played 12 times for Southampton’s U23s in the Premier League 2 before leaving the club. Although initially disappointed, the 20-year-old now understands the sizable difference between youth and men’s football. “Southampton have many talented players throughout their academy. I feel like technically many could get the chance to play [in the first team]. I thought technically I was ready to get a chance. I was disappointed at the time but after playing in the National League I realised how different men’s football is to under-23 football. Willard did eventually gain that experience himself, joining Maidstone in the National League, making a handful of appearances for them before playing on loan at National League South sides Eastbourne Borough and Welling United, who he scored his first senior goal for. That much-wanted move abroad soon came in the form of a deal with Swedish side, Hässleholms IF. The club played in the fourth-tier but despite that, Willard was pleasantly surprised with the standard and his first experience abroad turned out to be exactly what he had hoped for. “I definitely found it easy to settle in [in Sweden]. The staff and players at Hässleholms were so welcoming and I really enjoyed my time there. After playing in the Swedish league for several months and even scoring in the Swedish Cup, the opportunity to play even further afield in Asia was too good to turn down. “The deal happened really quick here in Cambodia. The manager Conor Nestor and I made contact with each other and within a week I was here signing my contract. “Like I said before, I’m different. I love being abroad so to travel and play the game I love, I couldn’t think of anything better. Willard was arriving in a country with an entirely different language and way of life so it has helped having Nestor, an Irishman who had previously coached Limerick U19s in his homeland, in charge to help him settle. And despite playing for a side closer to the Vietnamese border than to the capital, he still gets to experience the best of the country. Football is a popular sport in Cambodia with C-League matches attracting between 3,000 to 5,000 fans and national team matches bringing in as many as 50,000 fans. There’s also a huge appetite for Premier League football in the country but Willard says their own league is going from strength to strength and had even done a little research himself before making the move. “The C-League is improving every year. They have some very good players which are stars here. It’s a technical league and I am enjoying it. More foreigners are wanting to play here as it’s a good place to really kick-start your career in Asia. Willard’s arrival in Cambodia has made a big impact, you do not get many English imports into the country and he has impressed on the pitch too, contributing several assists as Svay Rieng recently made it six games without defeat. The 20-year-old is now focused on making a name for himself in his new home. “Now I am in Southeast Asia my ambition is to make it into the top leagues here. I’m open minded and love to travel so we will see what happens. “But my first aim and focus is to make a name for myself here in Cambodia. Not many 20-year-olds would make this move so young but personally I thought it was a great opportunity and I’m so glad I did it. The move to Cambodia was certainly an unusual one but there is no reason why it cannot work out for Willard. 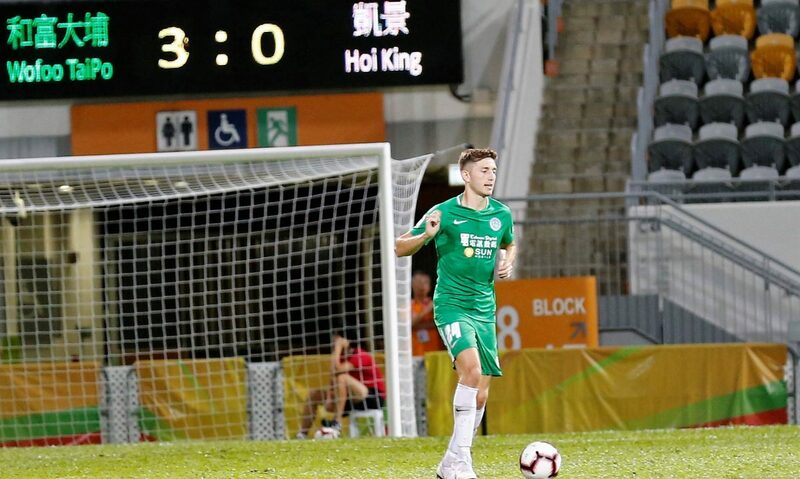 Yorkshireman Lee Tuck has built his entire professional career in Asia and the former Southampton man certainly seems to have the ability and attitude to make it big in the continent as well.